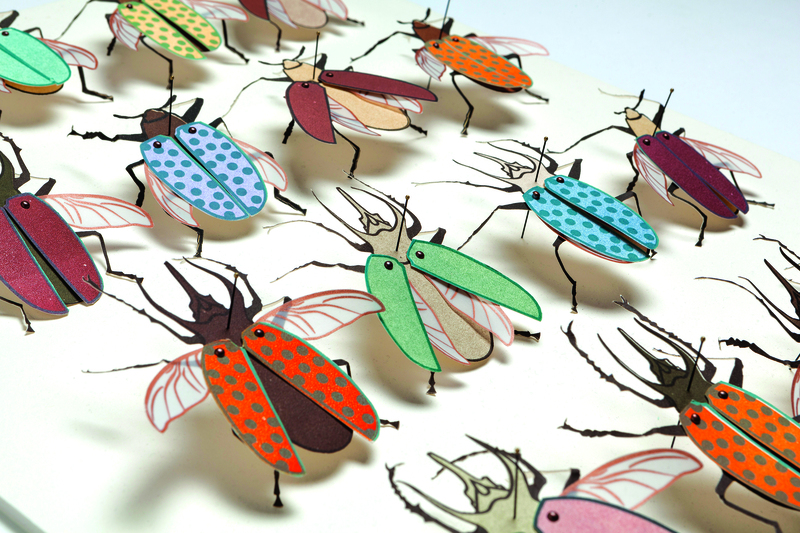 Specimen is an ink and paper insect collection consisting of moveable beetles printed from hand-processed photopolymer plates. 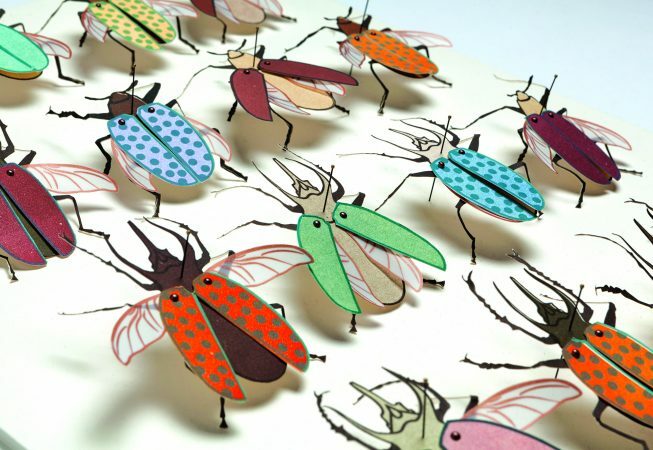 The hand-cut and hand-inked beetles were digitally illustrated to represent a conglomeration of the predominant features of several species. Each beetle consists of three moveable layers: body, wings, and wing case. Letterpress printed on Rives BFK. 3.5 x 1.5 inches (each beetle, total of 16 beetles). 2012.